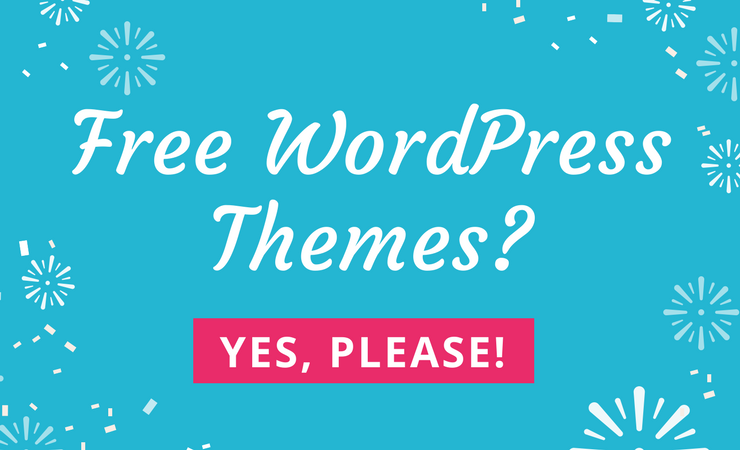 We talk quite a bit about WordPress themes on this blog, but this is one of the first times you’ll be hearing about starter themes. I know what some of you are thinking, these must be themes designed for beginners. Nope, that’s not exactly the case. In fact, we only recommend them to somewhat experienced designers. Why? Because a starter theme doesn’t generally have any stylings or configurations just yet. It’s a fully functional theme, but one that typically requires coding. Let’s say you wanted to build a house from scratch. Sure, some people might do it, but you’re more likely to hire a developer to construct the house for you. After that, you can go in and decorate the house however you want. 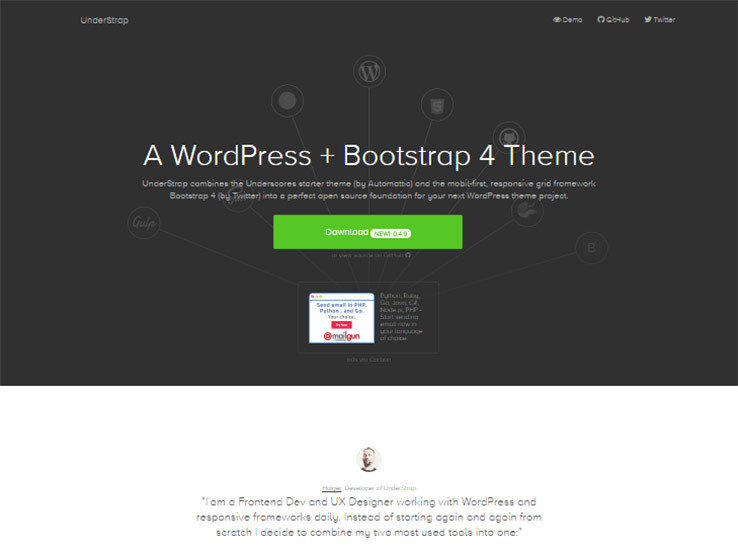 A regular WordPress theme already has the decorations built-in, while a starter theme does not. On the other hand, a framework intends for developers to construct child themes to complement the framework, whereas starter themes are for completely custom, individual projects. 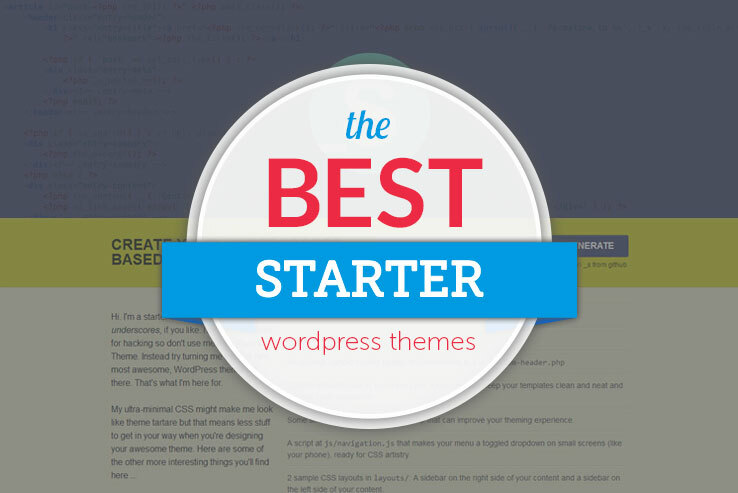 What Should You Look For in a Starter Theme? For a framework, you’re looking for something like Genesis that is meant to be combined with child themes. This way, you get more customization options, but the child theme does the decorating for you. As for starters, we like it when you see frontend development options, along with the ability to write stylesheets with common coding languages. 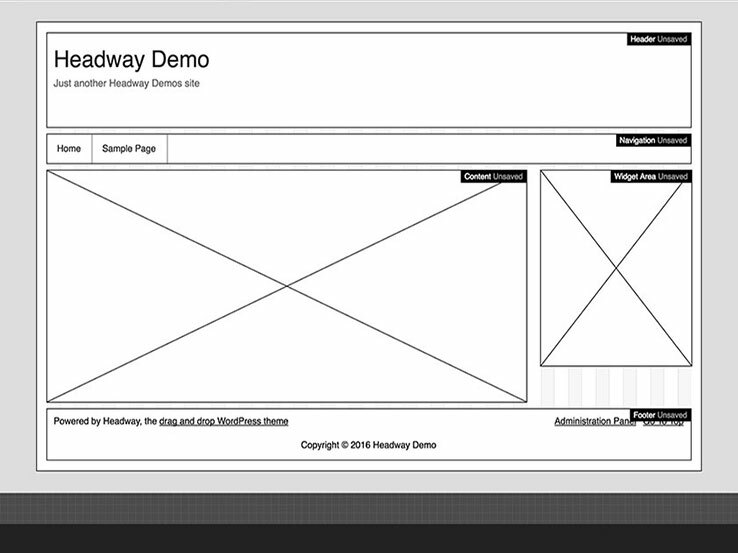 It’s also nice to see things like templates, since even advanced designers want to refrain from reinventing the wheel. 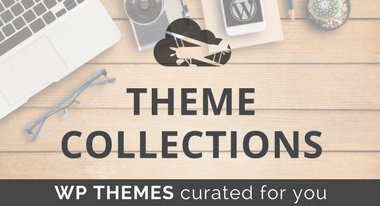 Many developers use starter themes to actually make new WordPress themes to sell. Who Should Get a Starter Theme or Framework? As we mentioned a little in the introduction, starter themes are primarily for people with development skills. You’re mainly going to use a starter theme when a client needs a completely customized project, where a regular theme doesn’t have the flexibility. Frameworks can be implemented by less experienced designers, because you can grab a child theme to complete most of the design work for you. Considering starter themes and frameworks are a little less common than standard themes, we compiled a solid list of the ones we feel strengthen your design arsenal. However, let us know if you’ve found any other solutions that belong on this list. 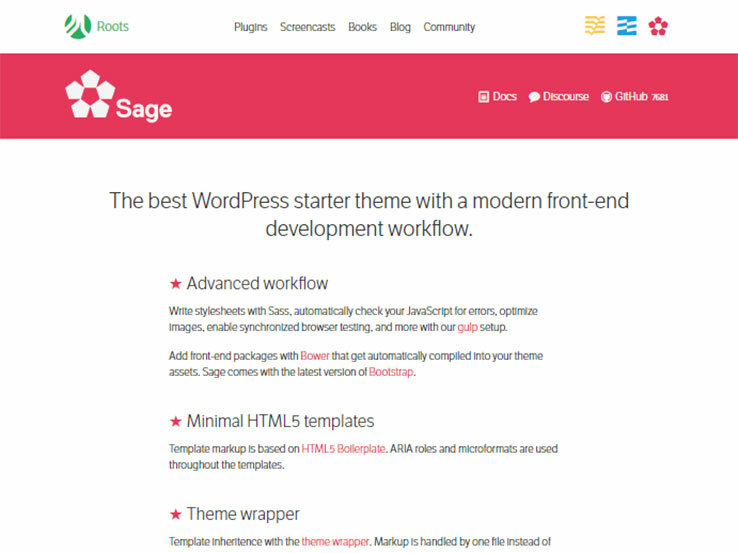 The Sage WordPress theme, by Roots, is one of the most popular, and modern, starters for designers. The frontend development workflow is a work of art, using an advanced workflow for making stylesheets with Sass. 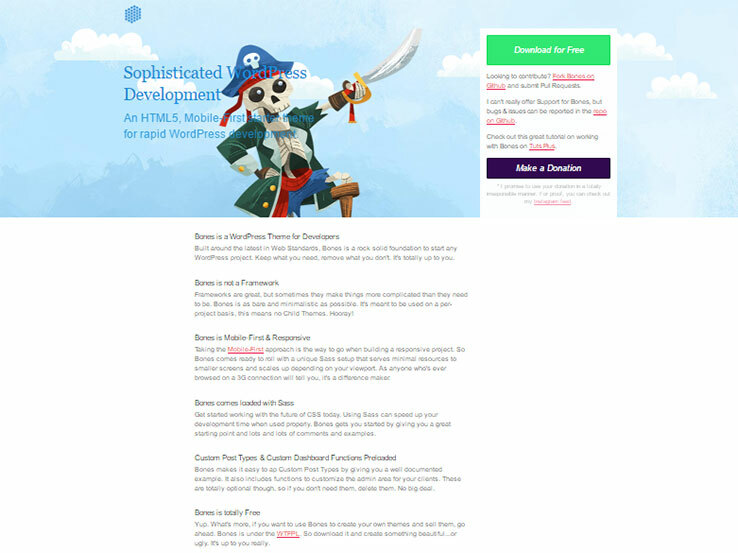 The HTML5 templates come in handy for getting your site launched and customized, using ARIA roles and microformats throughout each of the templates. One of the more unique traits with Sage is the theme wrapper. The theme wrapper allows for markup to be handled on only one file, instead of tossing all of the markup across dozens of files. Most regular themes utilize various files, often slowing down the site and making it more clunky overall. 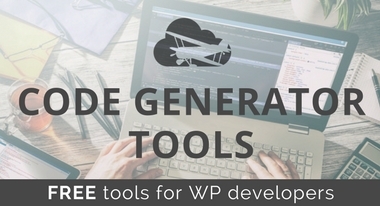 The reason we like Sage so much is because it challenges you to become a better WordPress developer the more you work with it. Along with responsiveness, modern PHP, and automatically optimized images, Sage is a strong choice. 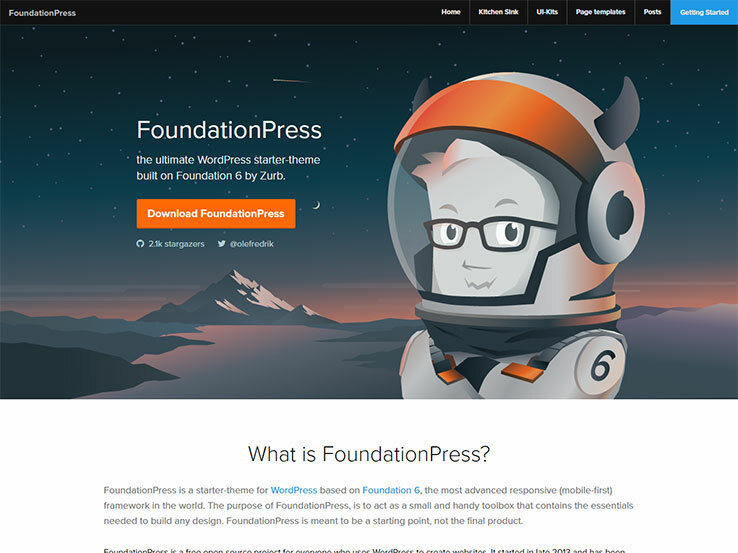 FoundationPress is yet another impressive starter theme, and it’s built on Foundation 6 by Zurb. The whole idea behind FoundationPress is that you’re working with clean, semantic markup. This not only improves the utility of Foundation 6, but it doesn’t sacrifice anything for speed. Building for responsiveness comes easy, seeing as how you start with smaller devices and add layers based on other larger devices. Several UI kits and page templates are included with FoundationPress. For example, your average developer might consider using full width page templates or a few with featured images. So many developers go with FoundationPress because of the various number of page elements. As a small taste, you’ll find items like accordions, grids, forms, media objects, menus, dropdown panes, thumbnails, progress bars, sliders, and more. The Bones starter theme strives to be one of the most rapid development interfaces out there, utilizing HTML5 and a mobile-first layout for training developers and helping out those who would like more customization options. As a wonderful starting point, the Bones theme is loaded with Sass, speeding up your development time and working nicely with items like custom post types. Many of the developers using Bones are making sites for clients. Therefore, the theme has customization tools for all client dashboards. Similar to many of the other starter themes on the list, Bones is completely free. Therefore, if you’d like to test it out and see if it’s the right starter theme for you, have at it. As for some of the other features, Bones has some of the most detailed stylesheets you can find. The whole point is to show what all of the selectors are going to do for you. After all, a starter theme should be more complex than a regular theme, but it should still be organized! 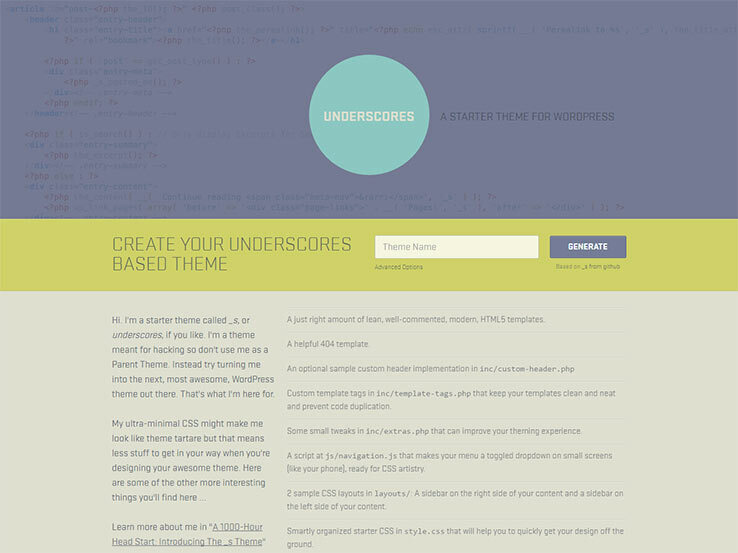 The Underscores starter theme offers HTML5 templates with a solid combination of leanness and modern appeal. This is a well-commented theme, and it also comes with a helpful 404 template, which is a huge bonus compared to some of the other themes on the list. If you make a quick Google search for starter themes you’ll quickly realize that this is one of the most popular solutions out there. 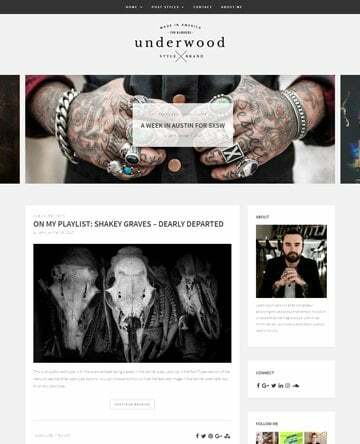 It’s a wonderful hacking theme with ultra-minimal CSS, minimizing the clutter. The idea behind this simple CSS file is that you won’t have to spend much time trying to get your design off the ground. You also gain access to two sample CSS layouts, offering a sidebar on the left and a sidebar on the right. Another reason the CSS comes in handy is because of the menus. Underscores provides a toggled dropdown menu for smaller screens, so the CSS allows for all sorts of interesting customizations. 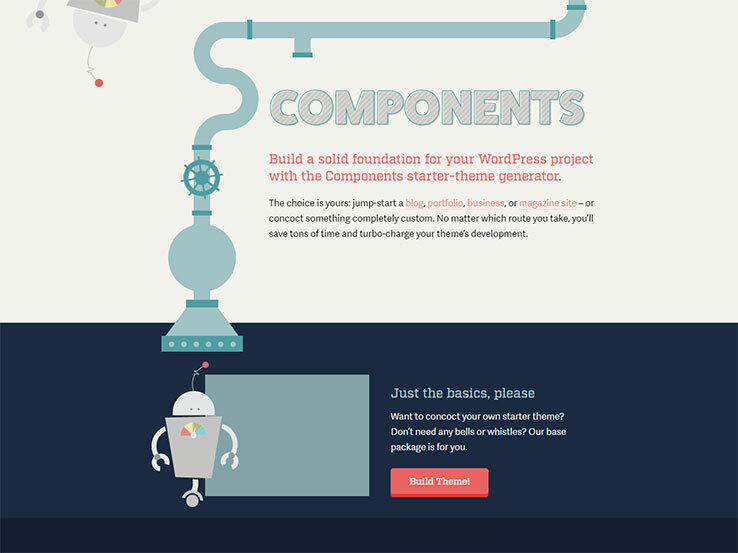 The Components starter has a slightly different approach, seeing as how it’s a starter theme generator instead of one individual starter theme. Now, many of the starter themes we’ve talked about above actually have similar features and traits (since you can build any type of website or theme with them). 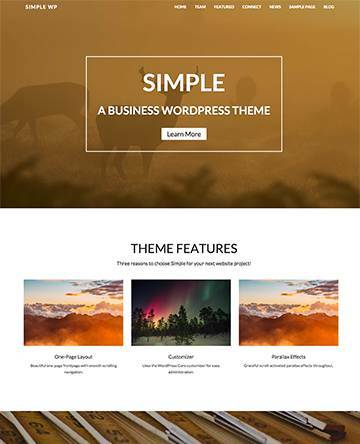 However, the Components theme not only looks more user-friendly but it has a more fluid process with quick buttons for building your starter theme. You have the option to generate a blog, portfolio, business, or magazine site, or you can go with a more custom approach. The design-agnostic layout patterns strengthen the entire experience, while the well-organized Sass combines nicely with the mobile-friendly layouts. The starter theme comes with both mobile and desktop menus, so developing sites for all devices comes easy. Overall, the best part of Components is that you can choose the theme type, punch in some personal details, and get started. It’s quick, easy, and beautiful. The Understrap starter theme combines both Bootstrap 4 and Automattic´s _s theme. 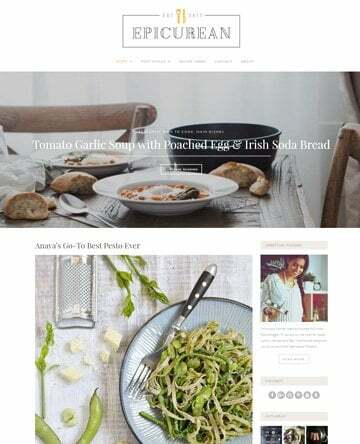 The theme has a more finished look than some of the other starter solutions, but it offers a beautiful starting point for when you’d like to develop a new theme to sell or maybe put together a completely unique theme for one of your clients. One of the things that makes this one different is that it can also serve as a parent theme. Therefore, it’s somewhat of a hybrid between a framework and a starter theme. Some of the cool Understrap features include Font Awesome support. This is yet another hint of how the Understrap theme is a little less like a quintessential starter theme. The built-in widget slider looks more like something you would find in a regular theme as well. Therefore, we like Understrap for the developers who might be a little bit too intimidated by standard starter themes. It’s a true transition theme for practicing, but also making fresh, new designs. 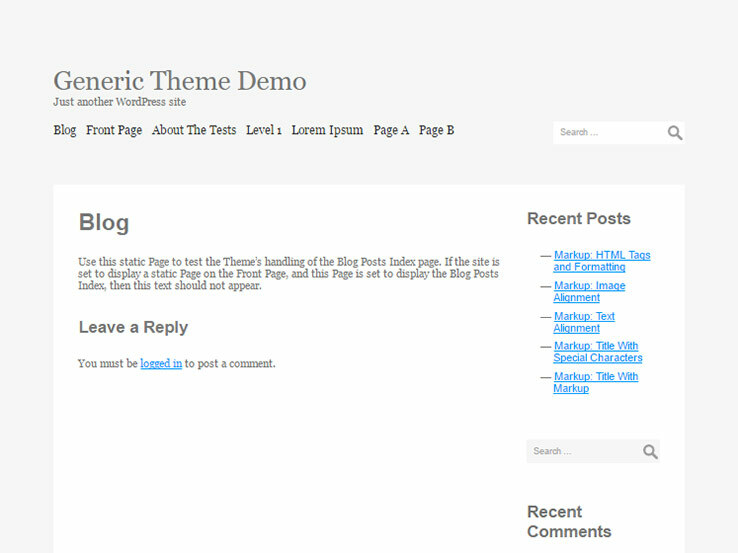 The Generic theme might seem, well, generic, but it’s a rather ideal starter theme for designers and developers. This is a true starter, so you’re going to mainly utilize it for designing new themes, pairing with frameworks and making money by selling your themes. The fully responsive design looks great on mobile devices, and the multiple color options are a little easier to handle than some of the other themes on the list. The custom menus standout as impressive features, while the microformats and fluid layouts are fairly easy to work with. What’s more is that threaded comments come along with the blog. Therefore, you have the ability to design what those comment boxes are going to look like for the new theme. Along with that, the Generic theme provides translation readiness, sticky posts, a one column format, and much more. 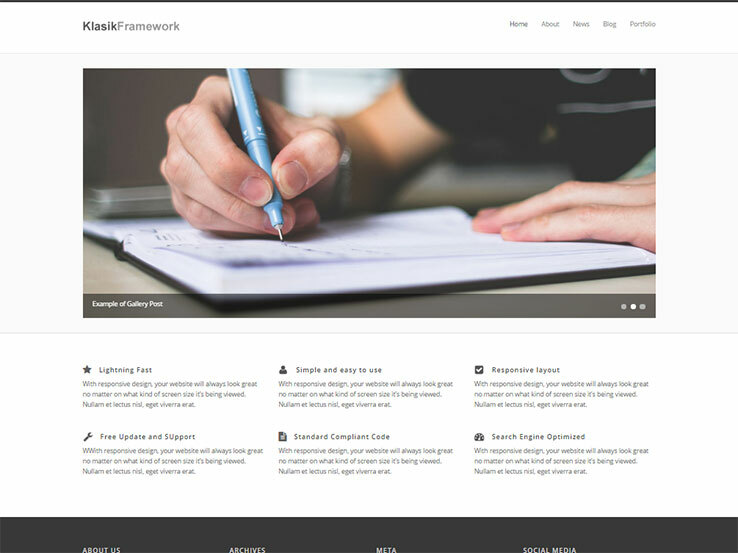 Here’s an HTML5 starter theme with a super fast design and lightning fast features and optimizations. The theme is available on Github, so lots of developers add contributions to the overall build. Along with that, you get a theme with preloaded features and optimizations, all of which you can search for and use. 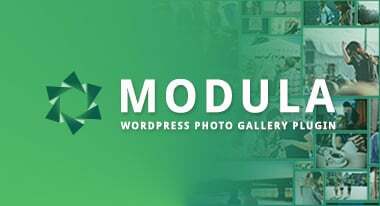 The Klasik framework offers a solid foundation for building business, portfolio, gallery, and blog sites. The whole idea behind the theme is to speed up development time. Therefore, you’ll find lots of features and options such as custom widgets to easily add elements, translation files, and page templates to get you started faster. 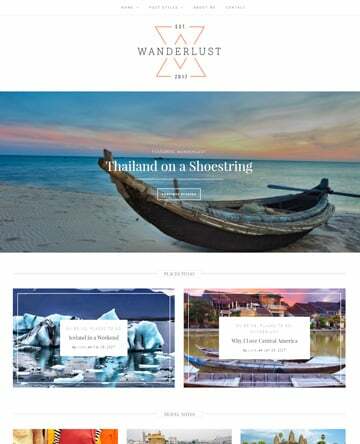 This theme is responsive and Retina-Ready, which means your site will look beautiful even on devices with high resolution displays. It’s also coded with best WordPress practices and is search engine friendly so your site will have no problem ranking high. 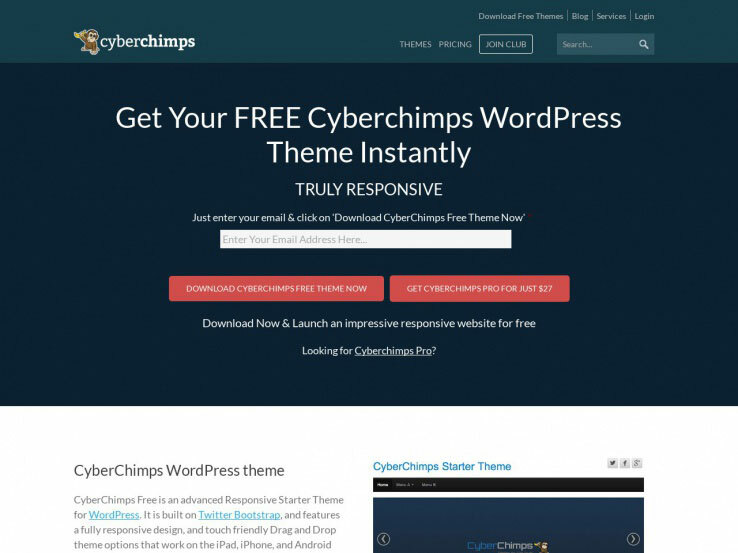 The Cyberchimps starter theme is a great option for designers, developers, and even first-timers looking to expedite their website building process. It is built on Twitter Bootstrap, meaning you get a sleek and responsive solution that looks great on any device and screen size. Building your pages will be a breeze thanks to the drag-and-drop options that enable you to work without dealing with much code. The theme also features a custom header that supports logo upload, custom page templates, and 3 social icon skins. 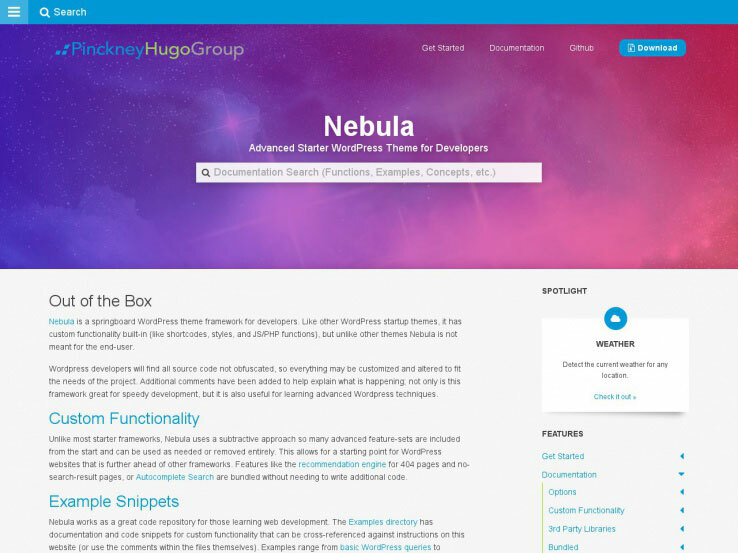 The Nebula starter theme speeds up development thanks to the custom functions it offers and available options for things like metadata, social networks, and site and business information. The Analytics options make it easy to implement tracking tools like Google Analytics to monitor the performance of your site, while the enhanced security and optimization ensure your site is faster and secure fromm hackers and spambots. In addition, Nebula comes bundled with features for services like Google Business, Search Console, Google APIs, Disqus, and more. Overall, this template is designed to make it easy and fast for developers to build WordPress websites. 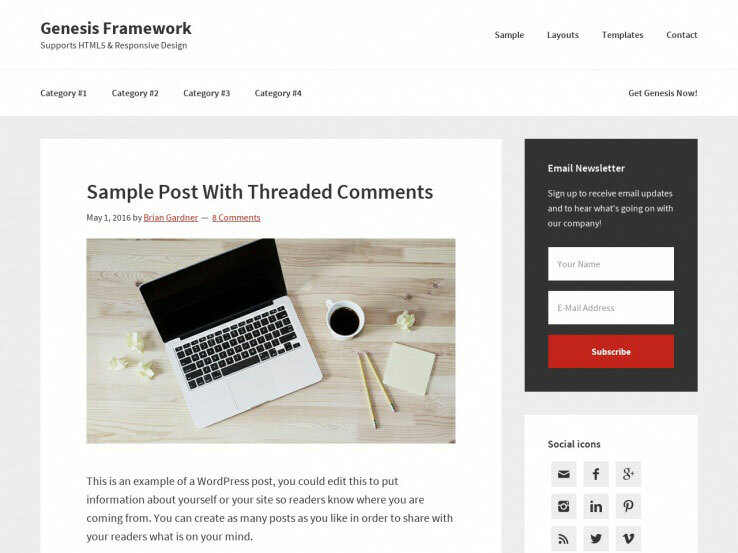 The Genesis framework is much loved because it provides lots of powerful features and options to help you build a WordPress website faster and without stress. In just a few clicks, you can get your site up and running. You’ll find custom page templates, a customizable header that lets you upload your logo in a snap, and a theme customizer that offers live previews when you make changes to your site. Additionally, Genesis comes with a featured content widget, custom background options, and support for one, two, and three-column layouts. Also, your site will be mobile-friendly and will have no problem ranking high in search engines since the framework is SEO-optimized. 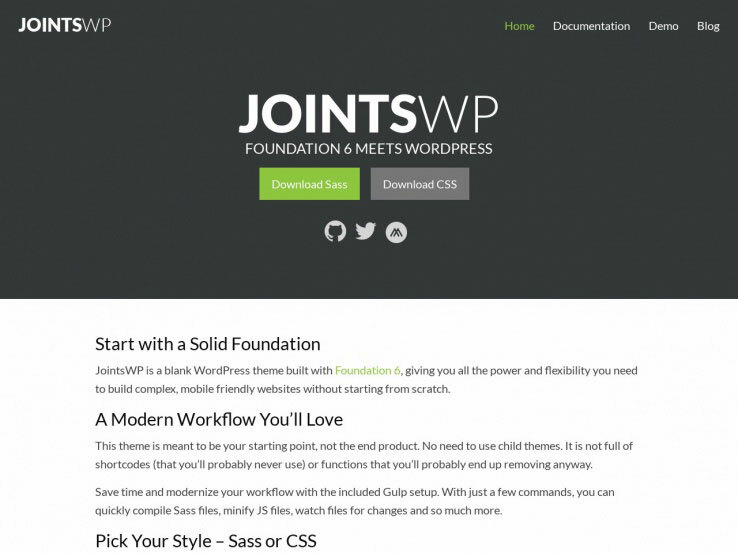 JointsWP is a powerful and versatile starter theme built on Foundation6. It provides a robust starting point for building mobile-friendly websites. Streamline your workflow and save time with the included Gulp setup that makes it easy to compile Sass files, minify JS files, and more. You can choose to make stylesheets with Sass, or work with the CSS version; whichever you prefer. Navigation options include top bar navigation, off-canvass, and title bar navigation. In addition, JointsWP comes with lots of website elements including accordions, buttons, breadcrumbs, callouts, tabs, sliders, and many more. 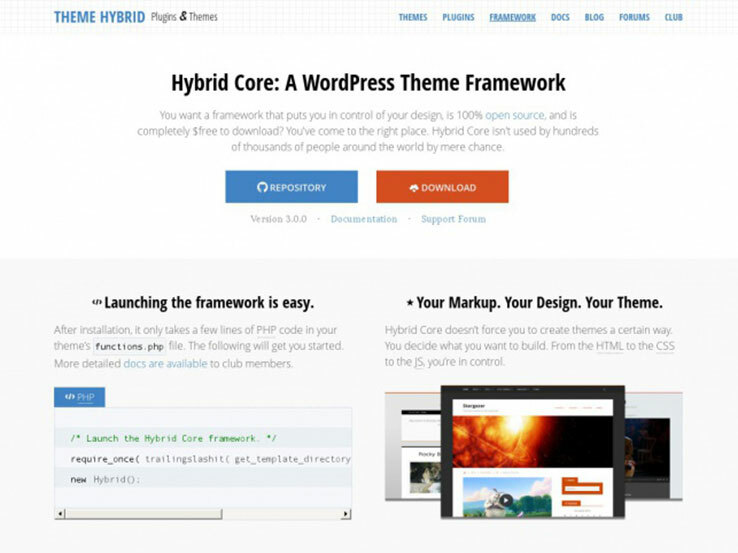 Hybrid Core is a free feature-rich theme framework by the Theme Hybrid company. It offers developers the freedom to create child themes that look and function the way they want. Launching it is easy, as you only need a few lines of code to get started. Some of the features you get include post templates, multiple theme layouts, integration with Schema.org’s microdata standard, numbered pagination for enhanced site navigation, and support for thumbnails and featured images. Moreover, you can easily implement breadcrumbs, design a gallery, or translate your theme into different languages. Headway comes with templates to jumpstart your site as well as a drag-and-drop visual editor that lets you build custom layouts in minutes. Whether you’re a beginner or an advanced developer, the template makes it easy to launch a unique website for your clients or your own use. The responsive design means that your website will look beautiful and work correctly on tablets and smartphones. Besides, you’ll find a live CSS editor and custom code blocks so you can build your site to look and work just the way you want it to. 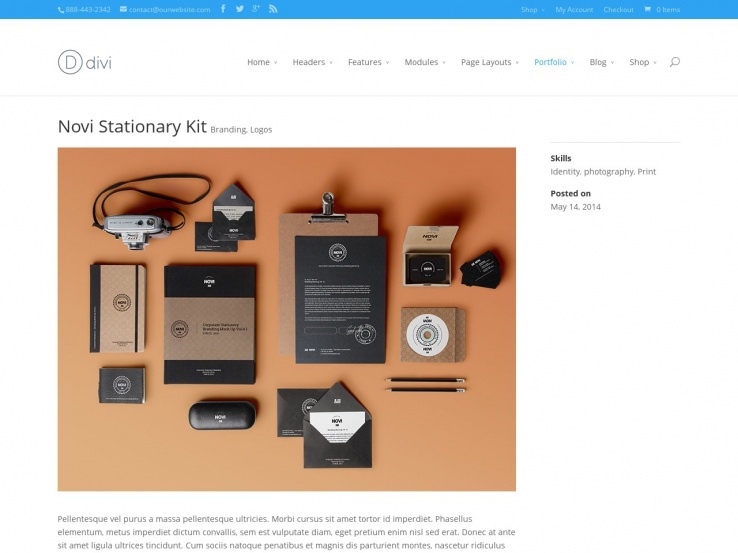 The Divi theme, from Elegant Themes, empowers you with a wide range of features and options to build any kind of WordPress website more easily and quickly. To start with, it comes with lots of front page layouts and pre-made page templates to get you started with your site much faster. If somehow you don’t like the ready-made templates, you can quickly create your own custom layouts using the drag-and-drop page builder that does not require much coding knowledge. The theme comes with a ton of elements for different purposes. You can easily implement accordions, an audio player, buttons, call to actions, sliders, portfolios, testimonials, pricing tables, and much more. In addition, the Divi theme has been translated into over 32 languages, and comes with an integrated split testing and conversion rate optimization system to help you make more from your website investment. 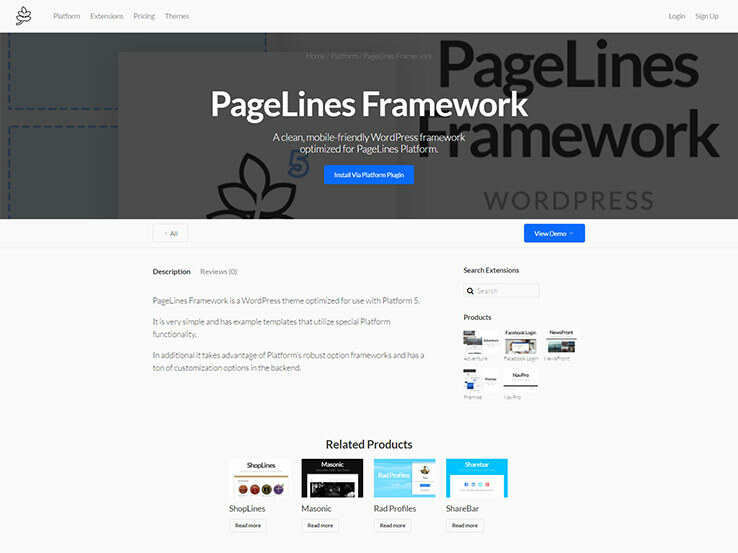 The Pagelines framework aims to make it easier than ever to build WordPress websites. It’s a clean and simple framework that works correctly on both mobile devices and desktops. It comes with a drag-and-drop page builder to help design your site much faster, over 50 extensions for different purposes, and lots of customization options so you can easily make it your own. With this template, you won’t need to install many plugins to your site and bog it down. Besides, the framework includes conversion tools to help you make more money from your website.